Here is a short (but great!) reflection of one of our discussions during the Cor Deo Women’s Program back in February. Thanks to Gretchen for sharing! During our walk-through of the Gospel of John during this year’s Cor Deo Women’s Programme, we were quite moved by the heart of John the Baptist towards Jesus. 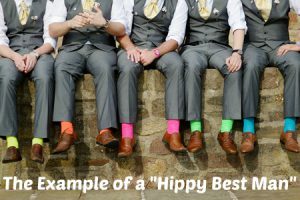 While he may seem a somewhat enigmatic figure with his clothing of camel hair and diet of locusts (thus our affectionate nickname “Hippy Best Man”), we can learn much from his example. Now, obviously, that’s an exaggerated picture. Yet, can you imagine the horror if, even subtly, the best man was trying to attract the attention of the bride at a wedding? We would consider him a rascal and no friend of the groom at all! But John the Baptist isn’t like that. He comes to Jesus’ Bride and says “He is greater than I am. I rejoice to hear his voice. He is the one to whom the Bride belongs. He must be the focus, not I.” John the Baptist is a noble best man and a true disciple. As such, his desire is that the eyes of the Bride be fixed only on Jesus. Even in a Christian context, we can sometimes get caught up in people who seem to have super faith, extraordinary life stories, or apparent celebrity status. Yet as I consider John the Baptist’s example, I wonder. Do I live my life in such a way as to point others to Jesus? Do those who need Christ see in me a neon sign that says, “Look to Jesus!”? For those who are already part of the Bride of Christ, do my words, my relationships, and my priorities, speak of my love for Him and serve as an invitation to others to love Him more?